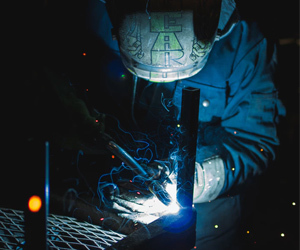 When selecting a wire electrode for welding, one will most likely run into an American Welding Society (AWS) filler metal classification. A purchaser who isn’t familiar with the AWS classification system might select the wrong type of wire. 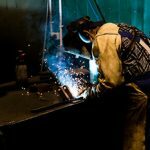 If the purchaser is only familiar with gas metal arc welding (GMAW) wire and is attempting to purchase self-shielded flux-cored wire (FCAW-S), confusion may arise about the differences between the two classifications. This too could result in selecting the wrong wire electrode. 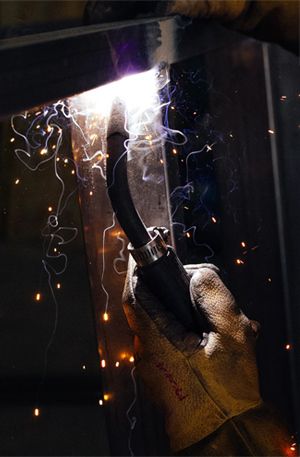 To help prevent this from happening, we’ve created this welding wire reference guide to remind welders exactly what the different AWS classifications designations mean. We’ve included references for solid wire electrodes, metal-cored wire electrodes, gas-shielded flux-cored electrodes, and self-shielded flux-cored electrodes. ER308LSi is a stainless steel solid wire. Si = higher than normal amounts of silicon, improves the wetting of the weld puddle. *Note that there is no “R” following the “E” in E70C-6M-H4; this is because this wire must be used as an electrode. An example of a gas-shielded flux-cored arc welding wire is E70T-1C-JH8. An example of a self-shielded flux-cored wire is E71T-14. 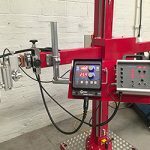 1 = with flux-cored arc welding wires, the digit after the as-welded tensile strength designation is used to define the welding position capability of the wire; a “0” indicates flat or horizontal only, whereas a “1” indicates all positions including vertical and overhead. -14 = operating characteristics; this is an arbitrary number that is used to relate to other flux-cored wire. 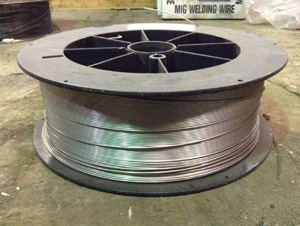 You can find a range of welding wire options here.